The Pegasus Clinical Knowledge Centre will provide a one-stop resource for patients, nursing staff and caregivers alike for useful information about pressure ulcers, guidance on pressure ulcer grading as well understanding the theories behind pressure care mattress systems. 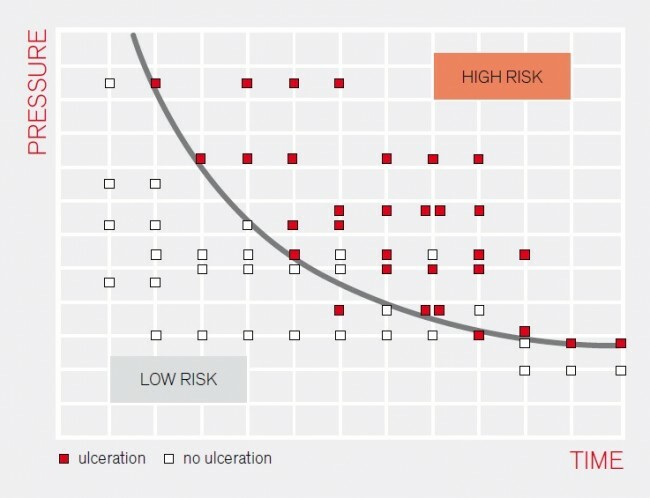 Pressure ulcers, also known as decubitus ulcers, pressure injuries or bedsores represent a formidable health challenge worldwide, with significant financial implications for healthcare providers, increased workloads for nursing staff and a reduced quality of life for large numbers of patients. 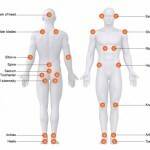 A pressure ulcer is defined as a localised injury to the skin and/or underlying tissue usually over a bony prominence, as a result of pressure, or pressure in combination with shear and friction. There are a number grading systems used by healthcare professionals to describe the severity of pressure ulcers. The most common is the NPUAP-EPUAP grading system, which is outlined below. Intact skin with non-blanchable redness of a localized area usually over a bony prominence. Darkly pigmented skin may not have visible blanching; its color may differ from the surrounding area. The area may be painful, firm, soft, warmer or cooler as compared to adjacent tissue.Category I may be difficult to detect in individuals with dark skin tones. May indicate “at risk” persons. Partial thickness loss of dermis presenting as a shallow open ulcer with a red pink wound bed, without slough. May also present as an intact or open/ruptured serum-filled or sero-sanginous filled blister. Presents as a shiny or dry shallow ulcer without slough or bruising*. This category should not be used to describe skin tears, tape burns, incontinence associated dermatitis, maceration or excoriation. *Bruising indicates deep tissue injury. Full thickness tissue loss. Subcutaneous fat may be visible but bone, tendon or muscle are not exposed. Slough may be present but does not obscure the depth of tissue loss. May include undermining and tunnelling. 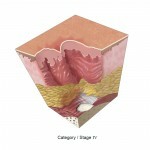 The depth of a Category/Stage III pressure ulcer varies by anatomical location. The bridge of the nose, ear, occiput and malleolus do not have subcutaneous tissue and Category/Stage III ulcers can be shallow. 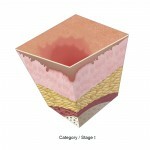 In contrast, areas of significant adiposity can develop extremely deep Category/Stage III pressure ulcers. Bone/tendon is not visible or directly palpable. Source: Pressure Ulcer Prevention and Treatment EPUAP Review Guideline written by the European Pressure Ulcer Advisory Panel (2009). 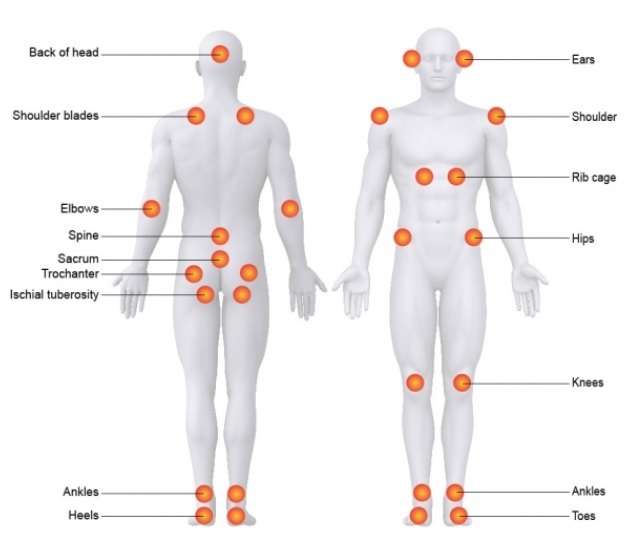 Pressure ulcers are the result of sustained external forces being placed on a particular part of the body. 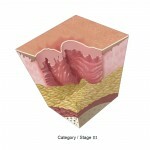 The application of external forces such as pressure, shear and friction interrupt the blood supply to the affected area of skin meaning that vital elements that keep tissues healthy such as oxygen and nutrients are restricted and without a constant blood supply, tissue is damaged and will eventually die and a pressure ulcer form. 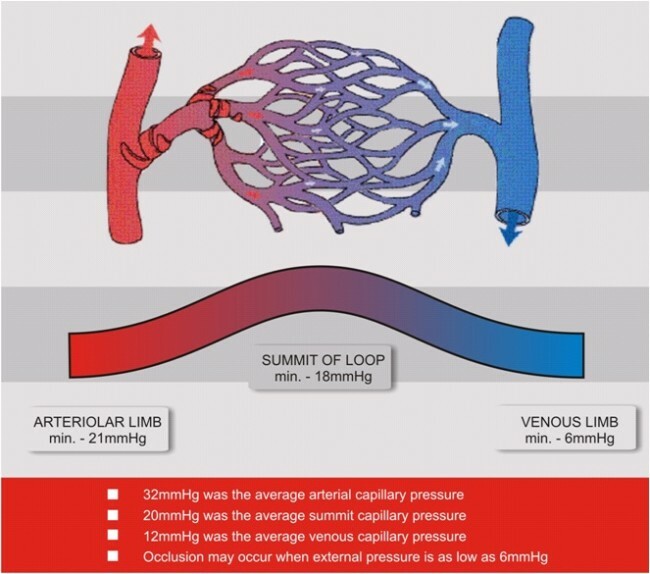 Applied local or point pressure compresses and distorts the body tissue between the support surface and a persons bony prominences causing the occlusion of capillary blood flow resulting in tissue damage. 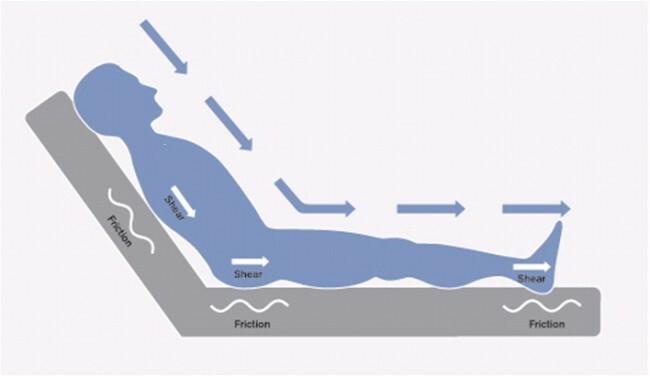 Deformation and shearing of soft tissue occurs when forces moving in different directions are applied to the same tissue mass. 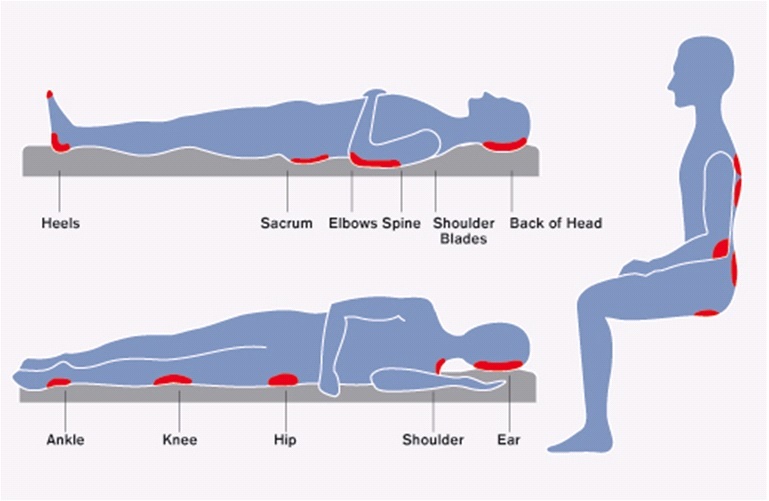 For example, as a person slowly slips down the bed, the mobile skin slides over bony prominences causing stretching and deformation of blood vessels, leading to the development of ischaemia. Shear is an important causative factor in many sacral and heel ulcers. Friction is the resistance to motion of the external tissue sliding in a direction parallel to the support surface. Friction may contribute separately to pressure ulcers by stripping superficial skin layers and causing ulceration. The heels are especially at risk particularly when a person is being repositioned up the bed. Usually occurs at anatomical sites subjected to frequent friction e.g. the heels or sacrum. Causes external skin damage, such as blistering or breaks. Incontinence of urine and faeces can contribute to pressure ulcer formation around the buttocks, sacrum and hip regions. The moisture can lead to maceration and the urine and faeces act as skin irritants that promote skin breakdown. A number of studies have looked at the effect of pressure load on blood supply and the effects on tissue perfusion and damage. The key study below provides evidence and highlights the need for complete pressure elimination. The need for total relief of pressure has long been recognised. Over 40 years ago, Kosiak concluded from his experiments on the effect of sustained and dynamic pressures upon the initiation of pressure damage in muscle tissues that “since it is impossible to completely eliminate all pressure for a long period of time, it becomes imperative that the pressure be completely eliminated at frequent intervals in order to allow circulation to the ischaemic tissues”. 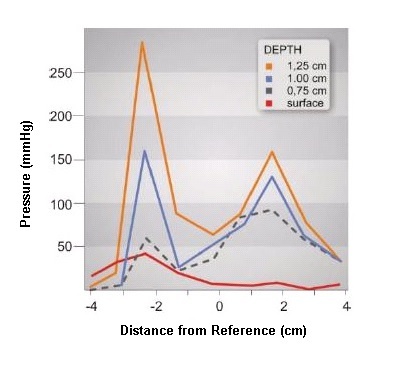 Kosiak also showed the link between pressure and time in the constant pressure group. 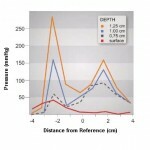 The graph demonstrates the greater the pressure applied the more frequently the pressure should be relieved to prevent tissue damage. (Red squares – damage occurred, Empty squares – damage free). Landis in the late 1920’s among volunteers, and replicated by Williams in 1988 showed the range of capillary pressures that could be measured following various challenges to the peripheral circulation. His work was clear that there was no single constant capillary pressure given that heat, cold and other challenges would markedly change the pressure within the capillaries. Pressures as low as 6mmHg stopped blood flow, therefore pressures would be likely to reduce if his experiment was to be repeated using elderly ill volunteers.